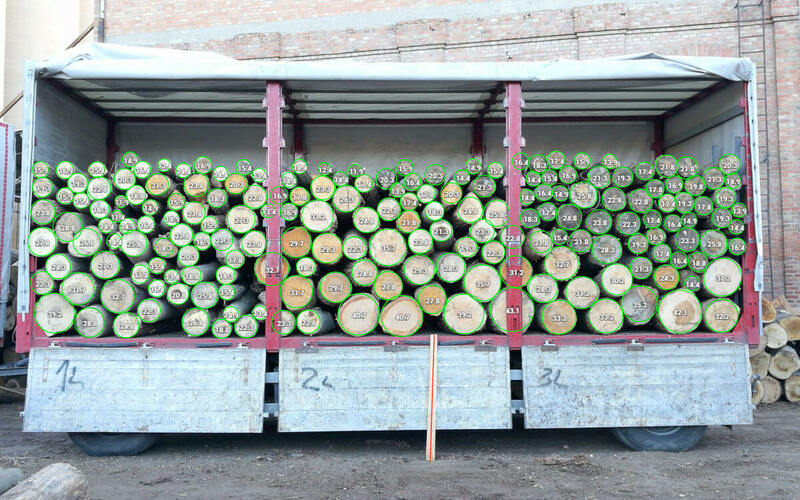 The team at Timbeter have been catching up with several market leaders within the timber industry who have switched to using Timbeter to measure logs and timber. CEO Vallo Visnapuu spoke to Vladimir Jankovic form Visa-prom d.o.o. about how Timbeter has benefited their business. You’re from Visa-prom. What does the company do? We’re manufacturers of wooden pallets, veneer and plywood. I am the technical development engineer responsible for finding and implementing new technologies. How long have you worked in the Timber Industry? What are the biggest challenges in the industry at the moment? Improving the efficiency of the supply chain and manufacturing process. How can the industry solve that problem? What is needed? Implementing better tools in every part of the business process to collect more relevant information, subsequently leading to better decision making. Typically, before using Timbeter how did you measure/count your timber/logs? For random samples we used hand tools, measuring one log at the time. For whole loads, we measured total volume and used industry averages to obtain an estimate for the real timber volume. You’ve been using Timbeter now for 4 months. What are your first impressions of the app? We were amazed at how quick and precise the app was. After a couple of attempts, it was very easy to perform measurements, review results and obtain all the necessary details about incoming deliveries. How easy is it to get started with Timbeter? I would describe it as “point, click, enjoy”. Really, it’s not much more than that. You take a photo of your logs, adjust reference size, get your results. Later you sit in front of your office computer and review the photo in larger detail and fix a couple of logs that are not correctly recognized because of shadows or dirt. What do you use Timbeter for? We use Timbeter for log measurements. One sort of wood we use in production is coming loaded on trucks. Because it’s loaded directly in the forest and unloaded directly into production we don’t have much time to measure it correctly. Up until now, we trusted the estimate based on the volume of the load and percentages established in the industry. After some suspicious quantities on invoices, we decided we could not continue with this inefficient methods and needed to measure loads precisely. That’s when we discovered Timbeter and started measuring every incoming truck. How does using Timbeter impact your business? Taking measurements with Timbeter takes only a couple minutes by truck and doesn’t interfere with the regular unloading process. As it turned out our suppliers were writing invoices with slightly larger quantities on them then what was the real volume loaded on trucks. First, there was a complaint that using this “new software” is not precise enough. We did a couple of test measurements of trucks by hand and a couple with Timbeter and the differences were so low that even the suppliers agreed on its correctness. Immediately we saw a reduction of volumes on invoices and no change in real quantities. The Timbeter costs were only a fraction of the value of wood we saved in this process of improved control. With our first measurement we saved €400 because of its accuracy compared to the invoices we were being charged. You work with various international clients. What are their opinions on using Timbeter? Does Timbeter meet their expectations? We don’t have experiences of other clients using this software. They sure should try it and see what it offers. Who else could benefit from using Timbeter? Who would you recommend the smart device to in your supply chain? Any forest management agency, wood suppliers, wood product based manufacturers. How many measurements a day do you store in the module and what do you use it for? We have around 2-3 incoming trucks per day that take 4 measurements each. So around a dozen measurements per day, that is around 300 a month. We send these measurements to our suppliers and management to compare with incoming invoices. What product enhancements would you like to see and why? The possibility of automatic measurement of logs on a conveyor belt or similar “no-operator” type of automatic measurement of different types of logs, wood pieces. What advice would you give to those not using Timbeter yet?